The Faculty-Student Association (FSA) is a 501(c)(3) not-for-profit educational and benevolent membership corporation governed by a Board of Directors comprised of students, faculty, staff, alumni, and representation of the administration. 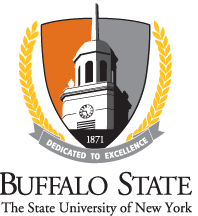 The general purposes of the corporation are to establish, operate, manage, promote and cultivate educational activities and relationships between and among the students, staff and faculty of Buffalo State. In January 2000, the administration of Buffalo State College cancelled its contract with the Faculty-Student Association, which had operated auxiliary services on the campus for 50 years. As a result, FSA transitioned from providing those services to an organization dedicated to funding educational and cultural programs proposed by faculty, staff, and students, either individually or as an organization/department, for the benefit of the College campus. In the Spring 2000 semester, FSA established a dedicated fund with a non-expendable principal of $1,000,000 from the retained earnings of the corporation. Also at that time, the Board developed a formula to increase the non-expendable portion of the fund when yields from the investment warranted. As of June 30, 2017, the fund balance was $1,084,000, of which $1,031,000 is non-expendable. During the past 17 years, the FSA Board of Directors has granted approximately $500,000 for campus programming after providing for normal operating expenses. This performance is due to the diligence and commitment of different board members over the years and is a testament to the prescience of the original 15 members of the Board in the Spring 2000 semester. Individuals interested in how members are elected to the Board, and their specific duties, may contact the officers listed on this website or call Hope Dunbar directly at 5211.